Amanda Goldman has been active in real estate in Alabama for five years. She joined Stirling Properties in January of 2017 as an Agent in the Commercial Brokerage Division in the company's Mobile, Alabama, office. She is responsible for leasing, sales, tenant representation, investment sales and special projects. She is a candidate for the designation of Certified Commercial Investment Member (CCIM). 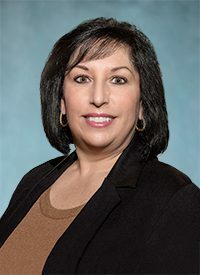 Following 11 years of service in the United States Air Force, Ms. Goldman has spent more than 30 years in sales; developing an expertise in working with both national and local businesses and providing quality service. Current affiliations include membership in the CCIM, as well as the Alabama Chapter of CCIM, and the National Association of Realtors (NAR). A native of Manhattan, New York, Amanda currently resides in Daphne, Alabama, and has three grown daughters.